As with many other languages, Mandarin Chinese exhibits a rich variety of ways in expressing the arguments of the predicator in a sentence. Unlike other languages, such variation is typically devoid of any formal marking. Previous attempts in explaining such phenomena usually focus on the syntax as an explanatory tool. This book argues that a large majority of such argument structure phenomena are better accounted for by recourse to enriched representations in lexical semantics. 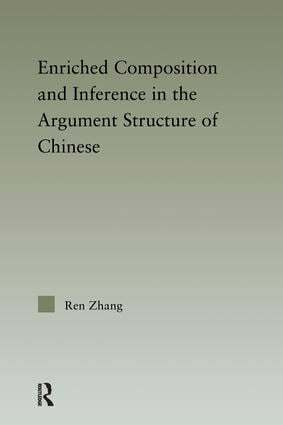 Drawing insights from conceptual semantics, cognitive semantics, Generative Lexicon, construction grammar and formal syntax, this book constitutes the first attempt at a comprehensive account of lexical semantic issues in Mandarin Chinese.